In a report released to the public earlier this week, Jefferies & Co., a global securities and investment firm, made the bold proclamation that Apple is set to unveil a video-focused cloud service. According to Peter Misek, a leading analyst for the organization, Apple is planning to draw from its massive data center in North Carolina to offer a subscription plan that will compete with streaming behemoths such as Netflix. Does it make sense for the consumer electronics manufacturer to pursue such a market? Basing his claims on recent satellite photographs that indicate work on what will be one of the largest data farms in North America is nearly complete, Apple will likely deliver video content to users through these servers. 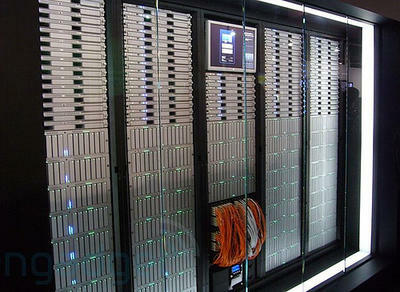 Though some are expecting that Apple will use the powerful infrastructure to deliver music, the Cupertino-based company recently purchased twelve petabytes (one quadrillion bytes) of storage, which is more than enough to launch such a service that delivers rich visual media. Expected to initially launch in the United States, rumors have started to spring up concerning the construction of additional plants in the United States and international data centers in Europe. Apple did purchase piece of land adjacent to the server farm in North Carolina, which would allow for the expansion of the service. Further supporting his hypothesis, Misek noted recent incidents regarding the removal of certain applications from the App Store. Specifically noting the case of Cablevision, rejected for the lack of a domain license, there are rumors that the company has entered negotiations with Apple. In terms of content we think some sort of subscription model also makes sense … We believe Apple has learned much from having Netflix on the Apple TV and we cannot help but feel Apple will try to improve on this model somehow. So how does Apple convince Hollywood and other content creators to license it? In our view, the best way to do that would be the model they use for App developers: let them take the vast majority of the revenue while you use the content to drive device sales and monetize it that way. We are huge fans of iTunes, but that cannot be it from Apple. There is another level coming here and we see this as one of the most fruitful potential uses of Apple’s enormous cash hoard. One of the most interesting aspects of Apple’s current streaming service, which is done primarily through local Wi-Fi networking, is that it does feature Netflix’s Watch Instantly feature. Why would Apple allow competitors to succeed? It is very possible that Apple was willing to bet that Netflix’s presence on the Apple TV would help business more than hurt it, driving up the device’s market share and sales record. 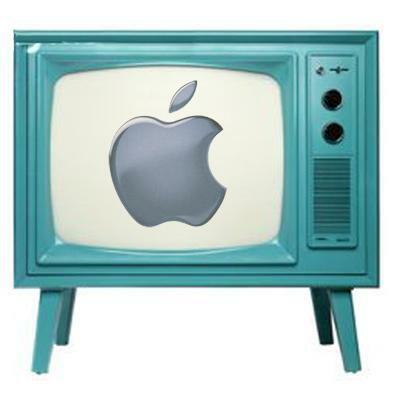 In late March, we ran a story outlining the numerous reports that Apple is constructing its own television set. This was based on claims that vendors were supplying the consumer electronics manufacturer with the parts that would create a television prototype. Such a piece of hardware would fully integrate into Apple’s current home electronics ecosystem, especially in streaming video content. We have run a sensitivity analysis on the potential impact. Assuming an iTV launch, a cloud-based services launch, and a halo effect on existing devices. Fiscal 2012 revenues would range from $150 billion to $171 billion versus our $134 billion and consensus’ $118 billion. Traditionally, the television business has been relatively difficult to enter from a margins perspective. However, Apple is suited to jump into a role in the market, drawing from its years of experience in supply chain management and hardware design. Though these rumors are simply rooted in analysis and hopeful guessing, it is likely that we may see streaming media and an accompanying device in the near future. It could very well be Apple CEO Steve Jobs’ last hurrah before finally retiring. Misek indicated that an actual television may launch in 2012. What do you, television enthusiasts and streaming addicts alike, believe? 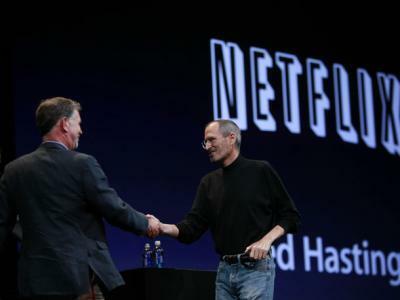 Would you like to see Apple put forth a cost-effective competitor to Netflix? Will they be able to gain the support of major networks and studios? Sound off in the comments below.